..and secondly… I have some new prints in the shop! Take a look at these beauties! Inspired by those wonderfully weird ceramic Staffordshire dogs. I couldn’t resist those faces.. I'll announce the winner on Saturday afternoon! So you have until 10am (BST) on Saturday to enter! Look who's back in stock! I've spent today tidying up the webshop and making some of the prints look super fancy (aka, popping them in a frame) and I totally stumbled across a couple of these dudes! I thought I'd sold out last summer, whoops! Well turns out not to be the case so there are 5 left in the shop at a bargain price of £15 each. This A3 print is a risograph I designed and made during a print workshop hosted by the awesome team at Dizzy ink here in Nottingham. The creative community here in this fine and bumpy city is growing and growing and it's amazing getting opportunities to team up with fellow makers. Anyway this 3 colour print is super limited so snap one up while you can! Here's a link to the shop! So excited to see one of my ladies featured on the cover of Flow Magazine Germany! 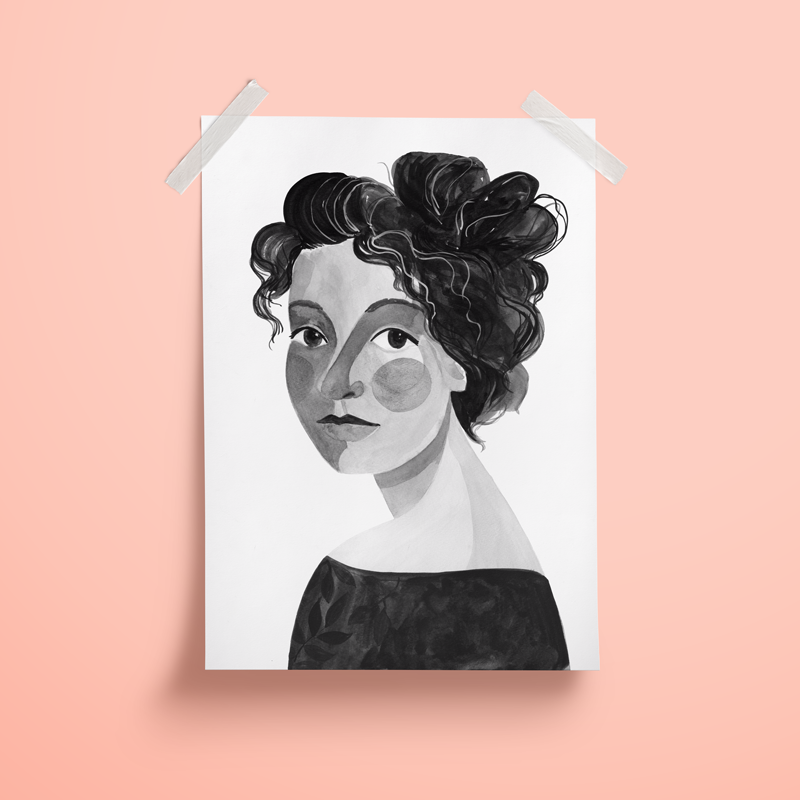 A print of the portrait (she's called Rose) is now available in the shop too - here's a link!